Ancient people valued Baltic amber as a highly effective remedy for healing and wellness physically and mentally. 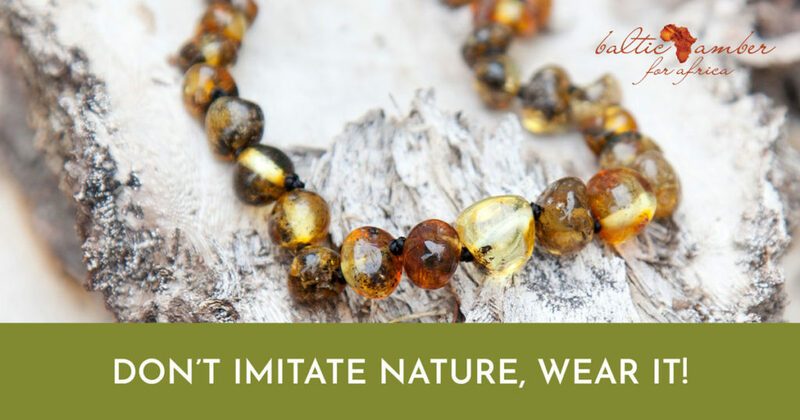 Today, science reveals the wisdom of the ancient ones and why Baltic amber is just as important to us, as it was thousands of years ago. Succinic acid is the main compound found in Baltic amber. In fact, Baltic amber contains the highest concentration of succinic acid found in nature. But did you know that Succinic acid is found in every cell of the human body and in other animals and plants too? Succinic acid gets its name from the Latin word: succinin; meaning ‘amber’. It plays an important role in cell metabolism which is a chemical process vital to life. This process takes place in all cells and tissues of the body causing certain substances to break down and release energy or remove wastes. At the same time, it takes other simple substances and builds them up into more complex and important substances the body needs. The first most notable research done in modern times was by Nobel Prize winner, Robert Koch at the end of the 19th century. He’s known as the pioneer of modern bacteriology. He proved that succinic acid has many important positive effects on the body. In the 1930’s and 40’s biochemists did further research. They discovered it is created naturally by every cell in the human body, and used to metabolise carbohydrates, proteins and fats into energy. Dr Nikolai Moshkov from Kaliningrad, Russia, confirmed in 2002 the therapeutic effects of succinic acid. He rubbed pure amber powder on areas of the body where his patients were sick such as their heads, chests, spines or lungs and saw quick and effective improvements take place. Limited quantities of succinic acid can be found in immature blackcurrants and the stem of rhubarb. Baltic amber contains significantly higher amounts. With progressive research over years on succinic acid it has led to manufacturing of synthetic succinic acid. Besides its numerous health benefits, succinic acid is also used in many other industries such as the food and beverage industry as a flavouring agent and stabiliser. The pharmaceutical industry uses it in certain medications such as sedatives, menopause treatments and diabetes medications. The cosmetics industry uses it for perfumes and anti-ageing products. It’s even used in agriculture, plastics and textiles. When it comes to your health and wellness, nothing can replace natural succinic acid found in Baltic amber. A synergy is found in the naturally occurring elements and compounds that interacts like that of natural amber and our physical bodies which cannot be replicated. This is the way the body takes in air and uses oxygen to release energy in cells. When your respiration improves, then your energy and health can improve. By helping to stimulate the brain and nervous system, they function better. Stress and anxiety can be eased and one can think clearly and be calmer. Succinic acid is a powerful antioxidant that helps to prevent the ageing of cells by protecting them from free radicals and helping to repair damaged cells. Its effect on cellular metabolism and respiration improve the way the heart and circulatory system function. Succinic acid is a powerful analgesic and anti-inflammatory. As a result, it can benefit numerous conditions such as arthritis (link to arthritis blog), headaches and migraines, fibromyalgia and the teething of babies and toddlers. By wearing Baltic amber, you can benefit from succinic acid’s therapeutic properties. When it’s against your skin, the warmth of your body releases small amounts of succinic acid. It is absorbed into your blood stream where it can then be used by your body to ease problem areas. This entry was posted in blog and tagged Baltic amber, Baltic Amber for Africa, succinic acid, Wellness.Anti-ageing Migraine.